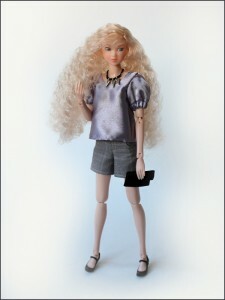 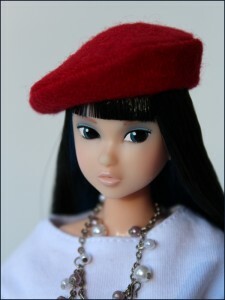 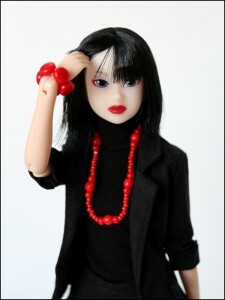 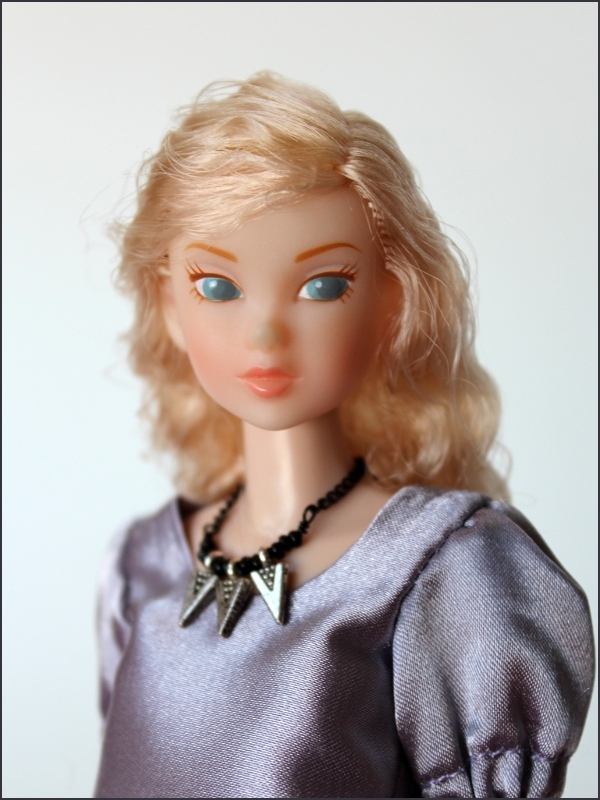 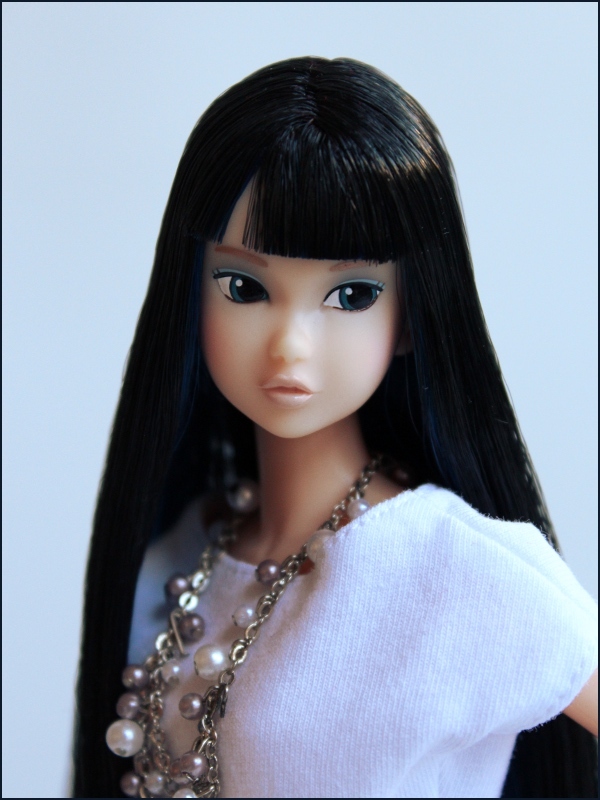 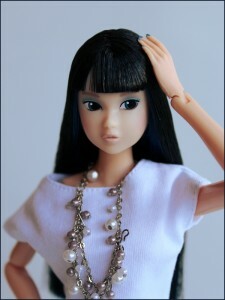 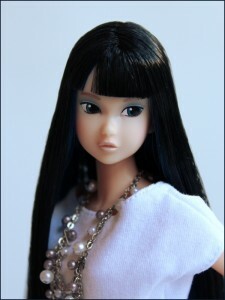 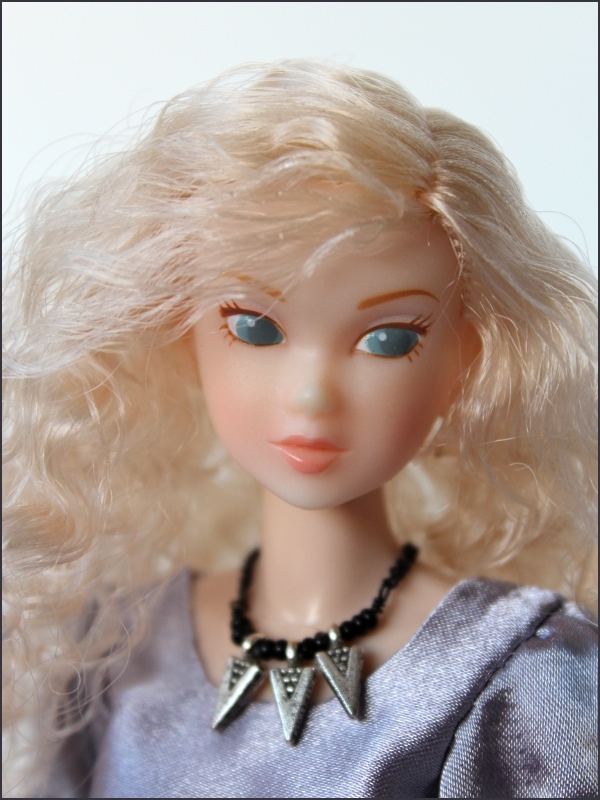 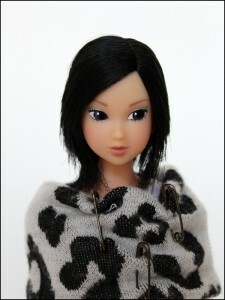 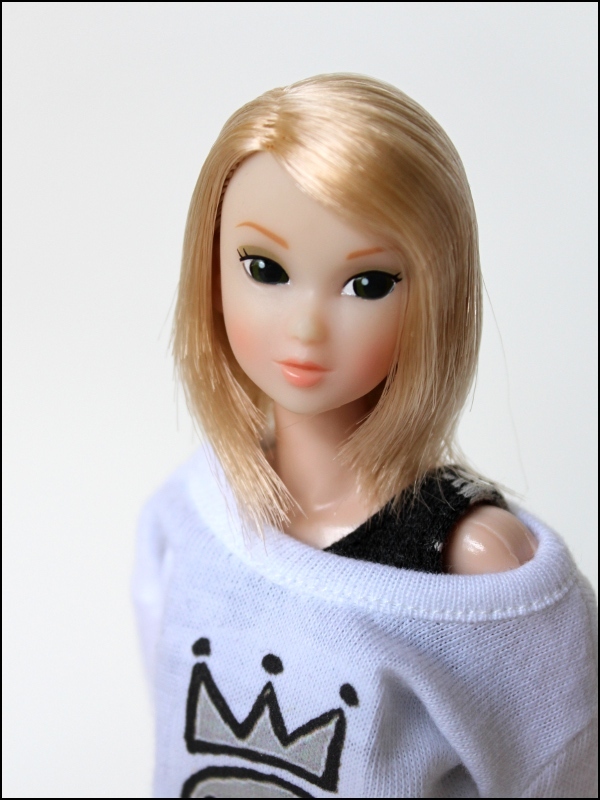 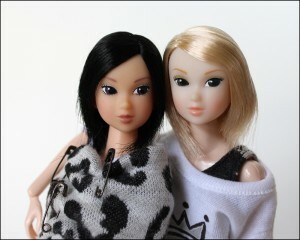 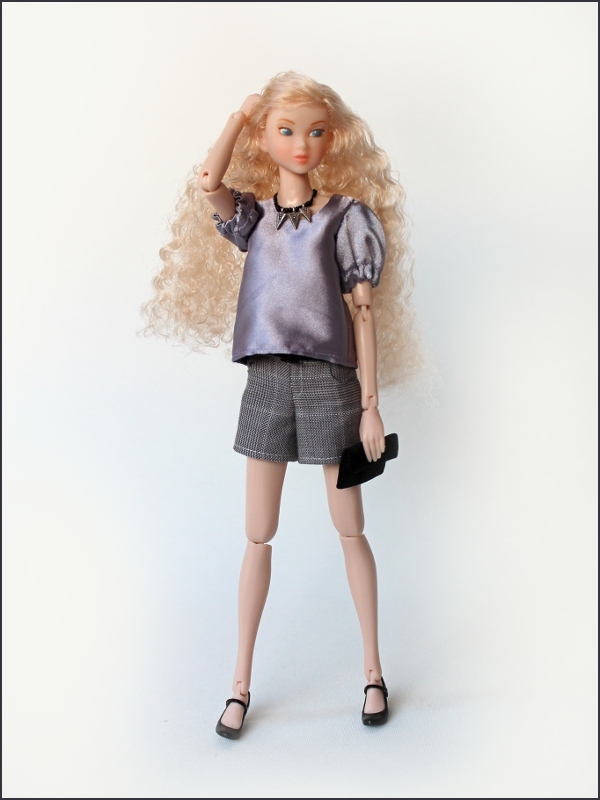 This doll can look very sweet or youthful, I love her versatility. 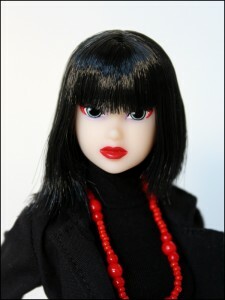 I love her unsual makeup. 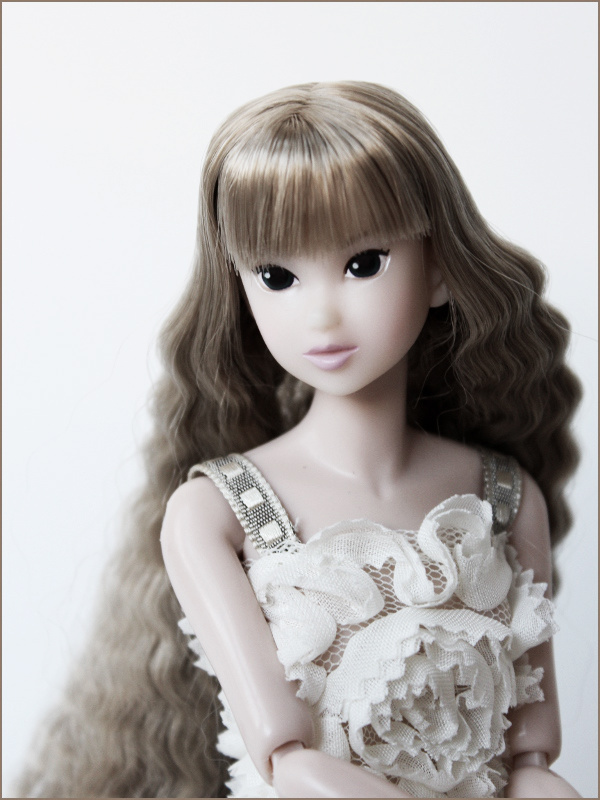 Just click on the pictures to see them larger. She’s very sweet, sadly her hair is awful (very plasticky, tangled and coarse). 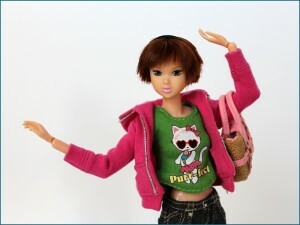 I’ll have to work on it. 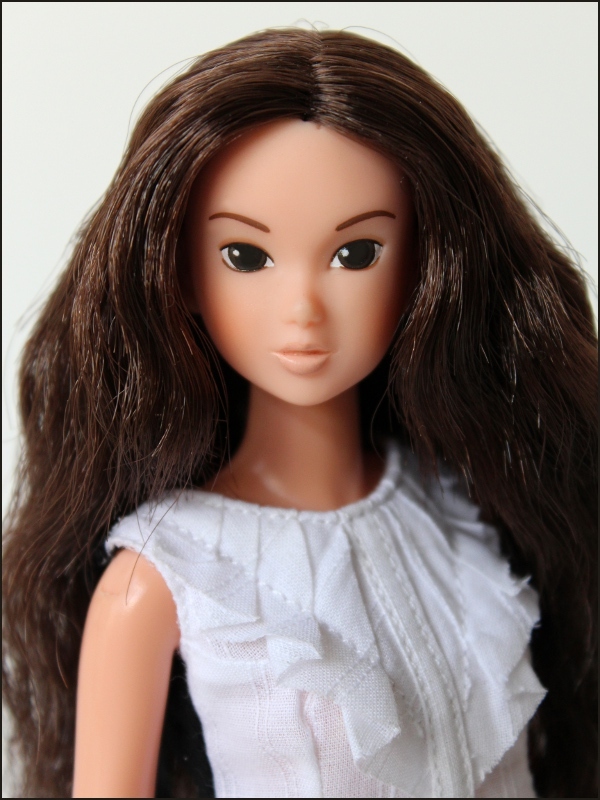 This girl has the most amazing hair, it’s very soft. 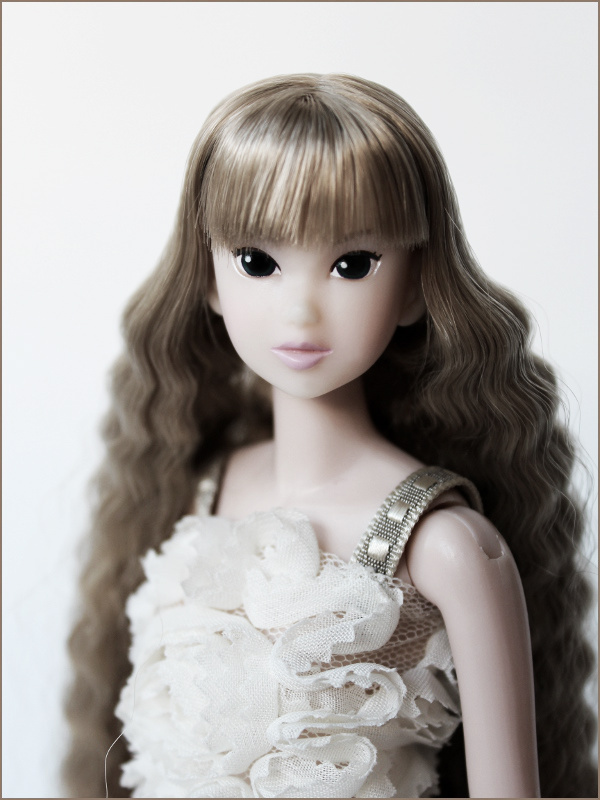 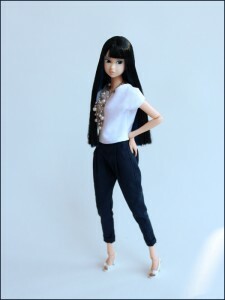 She has been rebodied on a repro DHEXs Momoko doll’s body, as she has the very “peachy” skintone and does not match the natural Sekiguchi Momoko’s skintone.